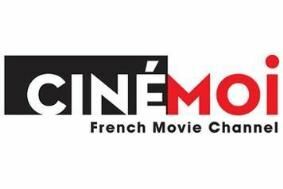 Virgin Media adds a taste of French culture with Cinemoi film channel | What Hi-Fi? It's free for the first two months, and after that will cost £5.99 per month if you sign up before January 31st 2011, or £6.99 a month after that. Cinemoi is dedicated to French cinema produced for a UK audience, and has 40 films with English subtitles on offer, many of which have never been seen before outside France. Many are in high definition too. Titles on offer in December/January include Belleville Rendez-Vous, Arsene Lupin, Inside Ring as well as And God Created Women. Jonathan Ross and Michael Caine are said to be big fans of Cinemoi. Ross says: "I watch more movies on Cinemoi than any other film channel. I love the mix of contemporary commercial French cinema as well as the classics they show on a regular basis."